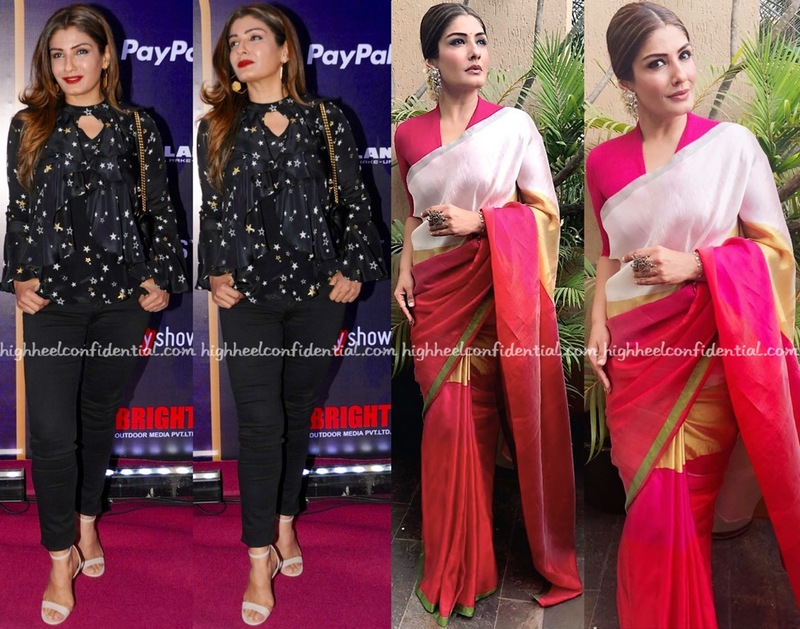 While at an event in Mumbai, Raveena picked a color-blocked sari by Payal Khandwala to wear. 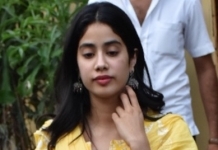 And more recently, she took in a play wearing a Ranna Gill top, one that she paired with black trousers. Though she wore both of her looks well, it was her appearance in the sari that stood out. She’s stunning in that sari!! That sari is EVERYTHING! Styled to perfection and oh so graceful! Love the makeup! beautiful saree, well styled too. something’s off with the makeup, and she needs to lose those blonde streaks in her hair. washes her out badly. such a stunningly beautiful woman too! that bone structure, OMG! LOVE LOVE LOVE THAT SARI AND SHE LOOKS AMAZING IN IT. PERFECTLY STYLED. WOW !!! 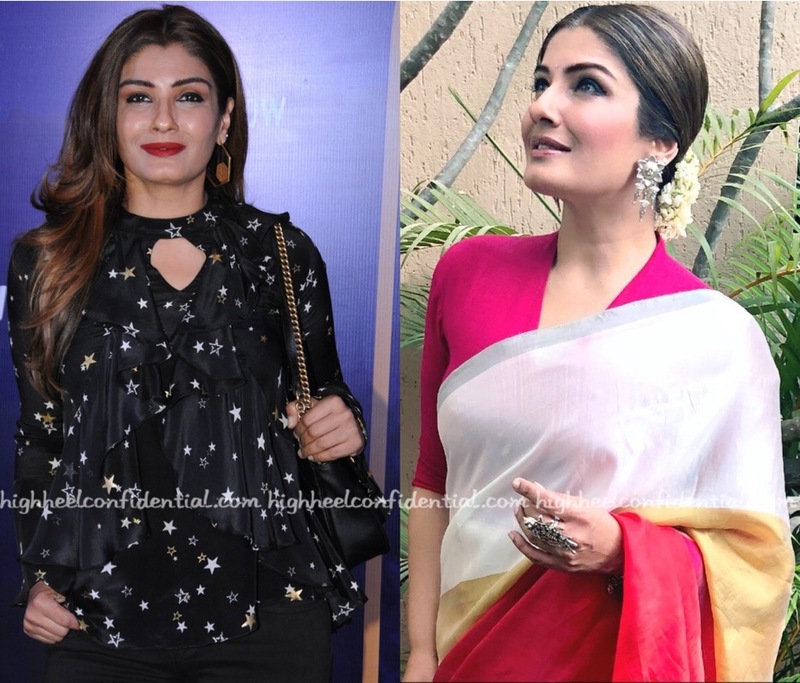 Ravishing Raveena in that Radiant Saree! She looks fabulous in that saree. She looks stunning in the saree! She can give Shilpa a run for her money.